With cheaper natural gas, wind, solar and other technologies, many people don’t think about coal as much as they once did. But coal is still very much a part of the nation’s energy mix every time a light switch is flipped or a manufacturer fires up the production line. Coal-fired plants accounted for 39 percent of the electricity generation in the U.S. in 2014, and will continue to be a factor for years to come. Five states provide half the coal for the country, with Wyoming being the largest producer by far at 40 percent in 2014, the U.S. Energy Information Administration reports. 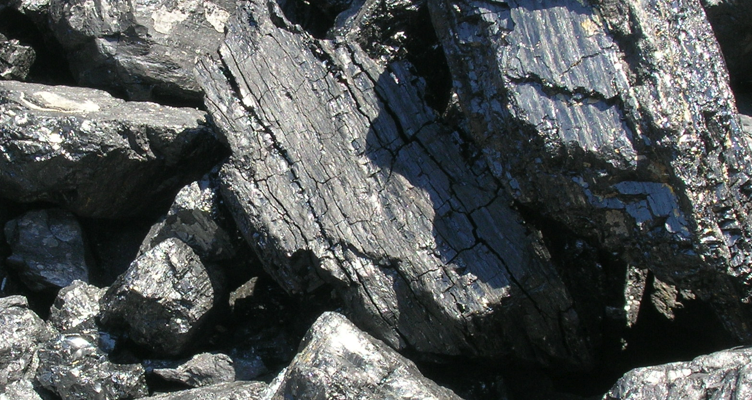 About 93 percent of all coal mined in the U.S. is used to generate electricity, per the EIA. Despite its still powerful place in electricity production, the fall for coal has been precipitous as U.S Environmental Protection Agency regulations and inexpensive domestic natural gas have caused older coal plants to be replaced with other energy sources. Coal-generated electricity is expected to decline to 30 percent in the U.S. in the next few years and to as little as 25 percent by 2030. The aging infrastructure for electricity from coal also is playing a role in the decline. According to the Edison Electric Institute, 231 plants will have been retired between 2010 and 2022, most of them more than 50 years old. That’s 48 gigawatts of power generation from coal taken out of the national energy market. Energy companies in some states have moved away from replacing those coal plants altogether, while others are waiting to see what will happen with everything from coal and natural gas prices to how the EPA will move forward with enactment of regulations stemming from the Clean Power Plan to reduce emissions by 32 percent of what they were in 2005. While there are many factors at play, the future of coal will be dependent on power company owners and investors realization that the opportunities come from a retrofit of coal-powered plants to include carbon capturing strategies or to repower those plants with natural gas. It is true that natural gas prices have made building gas-fired plants more economical, and economic incentives have prompted utilities to build or buy into more wind and solar electric generation. A predicted cold winter is driving up natural gas prices some, but coal usage doesn’t increase as much during natural gas price surges as it once did with great predictability. Despite the outstanding questions, tides could change if implementation of clean air policies from the EPA go by the wayside under the newly appointed head of the EPA under the upcoming administration of President-Elect Donald Trump. Oklahoma Attorney General Scott Pruitt, if confirmed by the U.S. Senate, would preside over an agency he has fought in the courts over stringent emissions standards he said have hurt the state’s oil and gas industry. Does that mean coal will make a comeback? The markets, and not regulations, already have invested billions of dollars in infrastructure to move to additional sources, including natural gas, as Pruitt testified before a U.S. House environmental subcommittee in May. Meanwhile, construction of new coal-fired plants is happening fast in China and in Japan, which is replacing its shuttered nuclear power plants. If emissions reporting and standards implementation are slowed or successfully challenged for coal plants in the U.S., power companies may keep existing plants running longer and give them more time to invest in retrofits of existing plants to natural gas. For now, the 65-year-old grandfather of the electric industry will continue to play a significant if lesser role in keeping the nation running.